We use numbers to understand the universe around us. We calculate, measure, organize, record, and estimate with numbers. Everything from time to music and even our bank account pin codes are regulated by numbers — no matter your spoken language. But numerals measure more than the natural things, they also have great spiritual significance and symbolism. 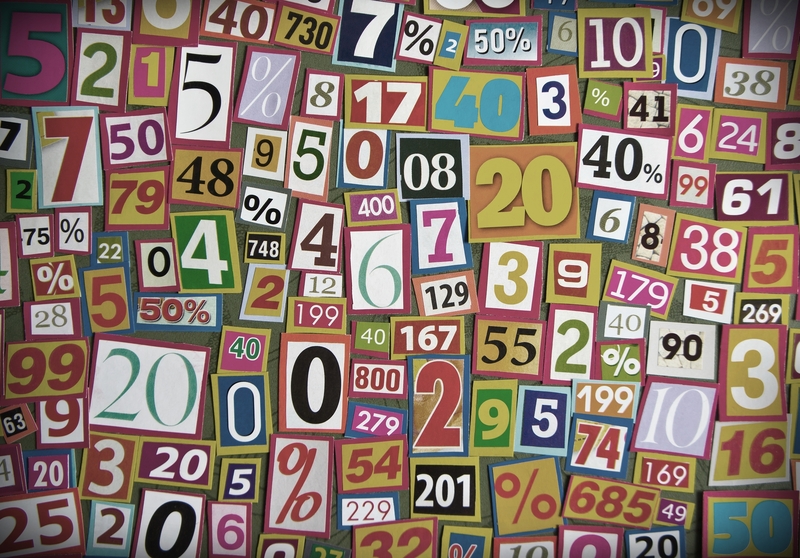 Without numbers, much of the Bible would be meaningless and prophetic dreams or visions indiscernible. Some people believe that man invented numbers in order to make sense of the world. Thus, they suggest that numbers have no other worldly or spiritual significance. Others conclude that since mathematics measures all things, numbers must be the one true universal language. But still others (like the ancient Sages), believe that “numbers relate to the Divine design embedded within creation”. From the very beginning, YHWH spoke to us using numbers to quantify and distinguish one thing from another. Thus, as the Master and Creator of the Universe, YHWH alone is the inventor of all numerals, counting, calculating, measuring, building, and the like. Jewish Wisdom in the Numbers. 1st ed. Brooklyn, N.Y.: Mesorah, 2013. 25. For example, on average, one in every five verses in the Bible contains a number. As a lover of Hebrew and supporter of Israel and the scriptures I am wondering if there is a definitive book of Hebrew numbers and their use with the Torah or adding another layer of textual understanding? A website is cool of course but a book would be awesome as I really want to explore this area much more! Thanks very kindly for your time and response! I will read through the posts and keep on my lifelong search! I guess you would need at least 6-10 books to start to really cover enough breadth on a deep subject! That’s a lovely video! Instructive and fun! It’s nice to see all the different faces of tel aviv! I’m not sure who you think the “fake” Jews are or who you identify as the “Real Chosen People,” but I do know that there are a multitude of so called “believers” that have been seduced by a spirit that engenders suspicion, fear, doubt, hate, and antisemitism. They wear a mask of holiness, but their tongues sow poison into the hearts and minds of those that don’t know better. The synagogue of satan (accuser) has a very real historical context, but it doesn’t suit the agenda of this spirit. The Pharisaical House of Hillel often referred to the other Pharisaical House of Shammai as sons of the devil, synagogue of satan, etc. because the latter was very anti-Gentile. The House of Hillel was much more accepting of those from the nations, so it’s a good thing that they and not the House of Shammai became the progenitors of Rabbinic Judaism. Sadly, ignorance of this simple fact and other historical and cultural realities of the first century drives a lot of hate filled messages and conspiracies about the Jewish people. For a simple crash course on this, I recommend Dr. Hollisa Alewine’s book Pharisee: Friend or Foe? With the redemption, comes judgement. The man of sin will be revealed and is even now being revealed as surely as the Son of Man is. May we be found to be lovers of mercy, compassion, and truth. May we not be found to be liars because we have hate in our hearts towards our neighbor. May we forgive those that have transgressed against us and be forgiven for our own ignorance and sin. Rather than being an accuser, may we be filled with wisdom from above.